Built as "Stadttheater" for the city of Pettau. Ca. 210 seats. 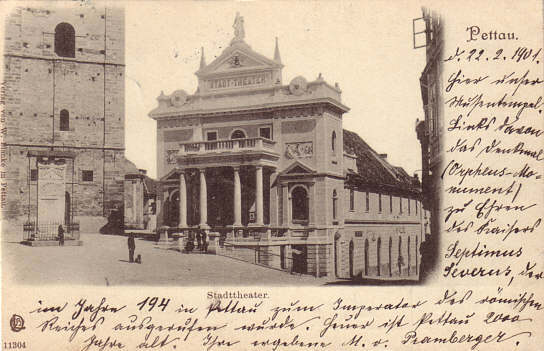 Front Text: "Pettau - Stadttheater", inscription: "Stadt-Theater"